Yesterday, a tractor trailer crash on Interstate 81 killed two people and seriously injured two others. A family from Canada was traveling on I-81 northbound in Scott Township near the Fleetville exit. They were stopped in traffic when they were rear-ended by a tractor trailer operated by JVM Transport. The truck crash killed the 45-year-old father and 10-year-old son; the mother and daughter were taken to the hospital in Lackawanna County. The driver of another tractor trailer that had been stopped in traffic was also taken to the hospital. 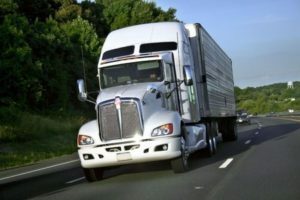 Why is there a truck driver shortage? The trucking industry is in need of truck drivers. The shortage of truck drivers in the past 15 years has been a burden on the trucking industry. The shortage of drivers has seen delayed deliveries, and higher prices on goods all over the U.S. According to the American Trucking Association, more than 70 percent of goods are moved by the trucking industry, and more than 900,000 new truckers are needed to pick up delivery demands. The shortage of truckers has forced some major retailers to pay higher prices on shipments so that they may arrive on time. Representing the Stevens family has been one of the greatest honors of our careers. It has been our privilege to advocate on their behalf and bring this case to a just resolution. Read more about the case below. On Monday, the truck accident lawyers at Munley Law reached an $8 million settlement in a case stemming from a deadly truck accident in Susquehanna County. The crash claimed the life of 27-year-old Staff Sergeant Andrew Stevens. Stevens was an active duty Marine and the father of two young boys. He served multiple tours in Iraq and Afghanistan and was in town for his sister’s wedding. His wife Katherine Stevens was represented by Marion Munley, Robert W. Munley, III, and Caroline Munley. The case was scheduled for trial this week before the Honorable John Jones of the United States District Court for the Middle District of Pennsylvania. Posted in Breaking News, Truck Accidents. “Bigger Trucks: Bad For America’s Local Communities,” a letter written by over 1,000 local government leaders, was presented to Congressional Capitol Hill offices on February 22, 2018. 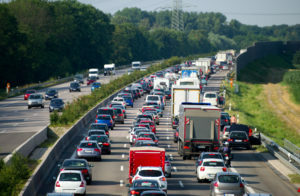 The letter, signed by mayors, local engineers and public works employees, argues that “Longer and heavier trucks would cause significantly more damage to our transportation infrastructure, costing us billions of dollars that local government budgets simply cannot afford, compromising the very routes that American motorists use every day.” Currently, federal limits are 80,000 pounds in gross vehicle weight. Notably, some states allow heavier trucks on roads that are not a part of the interstate system. Posted in Munley News, Truck Accidents. 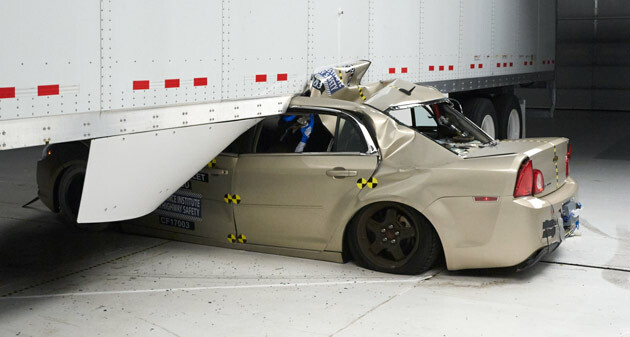 Lawmakers from both parties recently introduced a potentially life-saving bill to mandate that underride guards be installed on the front and sides of large trucks. The Stop Underrides Act of 2017 was introduced by Sen. Kirsten Gillibrand (D- N.Y.) and Sen. Marco Rubio (R-Fla.) as well as Reps. Steve Cohen (D-Tenn.) and Mark DeSaulnier (D-Calif.). Under the current federal law, underride guards are only required for the back of trucks. The proposed bill would also require an update of the outdated standards for underride guards on the rear of a truck. Guards would be required to be tested and would need to prevent a vehicle traveling at 35 mph from sliding under a tractor trailer. The standard would apply to single-unit trucks, semis and trailers weighing more than 10,000 lbs.